Some will be more than happy with walking out with more money than they started with, while other players will be looking to win that life changing amount that will come in the form a jackpot. The common way of attempting to achieve that jackpot win is to head to the slots. Many slots both live and online indeed offering life changing amounts so does progressive roulette nowadays. Welcome to the world of progressive roulette! Traditionally, roulette has never offered the opportunity of that huge odds win, the biggest odds you find at the table being 35 to 1, however, the scenario has changed, and there are now ways to gain that big win on a roulette wheel. This new form of roulette where you get a chance to win life changing amount of money is called progressive roulette. You’ll not find a progressive jackpot at any roulette wheel in a casino as the vast majority of games featuring just the standard betting formats. However, you might find a casino where there are special bets at much higher odds offered. One such example is the Atlantis Casino Resort & Spa in Reno who offer a ‘back2back’ bet. You’ll choose a particular number on the wheel, and your bet is that the number comes up twice in a row. They offer odds of 1,200 to 1 for this eventuality, meaning a $5 bet could pick up a cool $6,000. You’ll be able to play a completely standard game of roulette at this variety with the same odds offered on such bets as red or black, or straight bets. However, you’ll also place a mandatory chip on the ‘Jackpot Side Bet’ offering the chance of a huge prize. The side bet comes into play if the same number (any number) comes up twice and you’ll win an immediate 15x your bet. If the same number comes up again, the odds increase to 200x your stake. A fourth time in a row brings you a payout of 3,000x your stake. 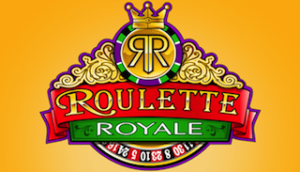 *Roulette Royal is available at 32 Red casino. You notice that you are playing on a slightly different wheel when playing Marvel roulette. The wheel features an extra blue colored bonus slot between the zero and the 32 slot. If betting on the bonus section and hitting, you’ll be taken away to a bonus slot section where you’ll receive three spins and be guaranteed at least one win. If you match three symbols you’ll win between 5x and 100x your initial bet. Additionally, this game is linked with all of the other Marvel Games offered by PlayTech casinos, in particular, the slots, where chances of winning a Jackpot are randomly rewarded to players, whether you win or lose. There are four levels of the jackpot on offer, which are all progressive – the top jackpot being the ‘Ultimate Power’ where you’ll win at least six figures. 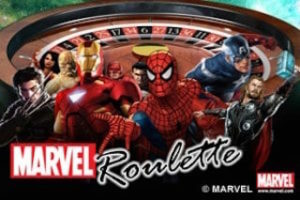 *Marvel Roulette can be enjoyed at the acclaimed Betfair Casino. The wheel is transformed into a bonus wheel that has three wheels in one when the bet is hit. Hitting either the bonus slot or one of the three zeros one or more times will give you a bonus up to 12,000 times your stake. Another roulette game variation very similar to the triple bonus spin roulette is double bonus spin game. There are just two, not three roulette wheels which lower the potential jackpot amount you could win. Progressive roulette is a fun way to enjoy roulette and does indeed offer a chance to win big while playing the game we all love. 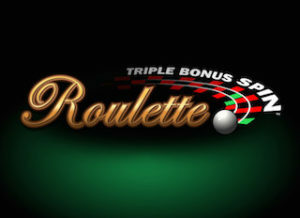 If you can manage to hit the jackpot in the triple bonus spin roulette you will be going home happy and quite wealthy. However, it should be added that if you want to play a standard game, you should avoid these tables, as the extra bonus wells make the odds on a standard bet slightly worse than you would find at a more traditional game like American or European roulette.